Our standard payment terms are that payment should be made on receiving an invoice from M.A.Training Enterpise.co.uk and no later than 14 days prior to a course unless agreed with the organisation. It is strongly advised that funding be secured before booking a course. If an employer refuses to pay, the attendee is liable for full payment. Payment or courses can be spilt into two or three payments, the option is only open when agreed in advance with M.A. Training. Course packs will not be posted until full payment is made. Bookings may be made by email, via M.A.Training Enterprise Ltd, letter or phone. Telephone bookings must be confirmed in writing upon request. Please quote purchase order numbers where applicable. First transfer, made more than eight weeks prior to the course start date – nocharge. Four to eight weeks notice given – 25% of the course fee. Less than four weeks notice given – 50% of the course fee. More than eight weeks prior to the course start date – no charge. Four to eight weeks prior to the course – 50% of the course fee. Less than four weeks prior to the course – full fee. NB Cancellation must be made in writing and received by M.A.Training Enterprise Ltd by the due date. It is the employer’s responsibility to ensure that students are free from any condition which would affect their capability to undertake their chosen course, and that they have the aptitude to cope with an intensive course of study. We welcome students with disabilities but it remains their employer’s responsibility to ensure that they are appropriately supported in their workplace. M.A.Training Enterprise Ltd would welcome in advance, for setup purposes, notification of any assistance that a student is likely to need during the running of the course. If it is felt that the student does not meet the learning outcomes of the course and or assessment process and is referred, they will be offered a free assessment. Any further training or coaching over and above that provided on the course may be charged for. All information that we hold concerning you will be held and processed by M.A.Training Enterprise Ltd strictly in accordance with the provisions of the Data Protection Act 2018. Such data will be used by the organisation to administer our relationship with you as a customer on our training course.  We reserve the right to share information with the Nursing Midwifery Council. We will not, without your consent, supply your name and addresses to any [other] third parties except where (1) such transfer is a necessary part of the activities that we undertake, or (2) we are required to do so by operation of law. As an individual, you have a right under the Data Protection Act 2018 to obtain information from us, including a description of the data that we hold on you. Should you have any queries concerning this right, please contact Linda Anderson, M.A.Training Enterprise, Technology Centre, Wolverhampton Science Park, Wolverhampton WV10 9RU. A copy of full terms and conditions may be seen on request.